It's a dirty secret among my veteran friends that a majority of us make good transitions from active duty to civilian life and go on to pursue successful careers outside of the military. There are some challenges along the way that naturally come with the stress of war, but it can be argued that military service, especially within the Special Operations community, is excellent preparation for civilian life and careers in the new world economy. Military veterans embrace adversity and challenging situations. In general, the life of a civilian is rosy in comparison with getting shot at. To be sure, you can't ignore the toll a decade of war has taken on the US war fighter, but it has been my own experience, since leaving active duty in 2006, that — contrary to popular perceptions about veterans being not just physically but emotionally handicapped by their experiences in war — there's plenty to be positive about. Veterans have much to offer and are accomplishing great things in in our country as civilians. 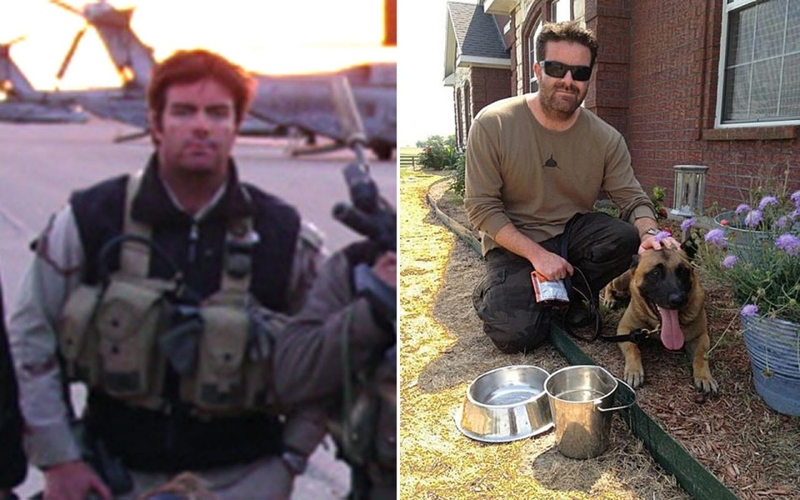 Brandon Webb in Afghanistan in 2002, left, and with his dog Castor in Texas, 2012, right. A successful transition to civilian life is defined, in my view, as a soldier who has become a productive citizen without relying on the Veterans Administration or others for help. 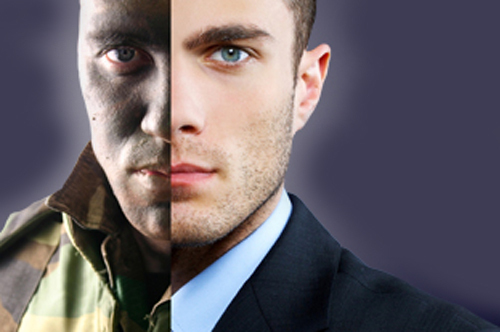 When I transitioned, just short of 14 years of active duty service, I had my challenges. It was a personal decision for me: I decided to put my kids first, over the Navy and the SEAL teams, after having put them second for so many years. Many colleagues didn’t believe I would leave with only a few years to go until retirement, and some were angry that I left. The biggest challenge was trusting people. In the Special Operations community your word is your bond. Don't keep it and you're ousted. While there are great people on the outside, you can't trust everybody the way you could on a Special Operations team. It was a strange experience for me, and it has cost me thousands of dollars and plenty of lost sleep, whether it was the man I hired to repair my roof who skipped town, making off with the deposit, or business partners who went back on their word. It was a rough start. After dedicating four years to a real-estate development company, along with a large portion of my net worth and a lot of friends' and family members' money, I found it was all gone in the blink of an eye. Our project was to develop a training facility for military and law enforcement. The market demand was there, southern California is desperate for a training facility. And after four years we received official approval from the governing county. Shortly thereafter, however, the project was killed when the Sierra Club of San Diego objected. Soon after, my wife asked me for a divorce. It was a very humbling experience. But I had learned from my military service that adversity makes you stronger. So I picked myself back up, dusted off, took stock of the situation and carried on. A few months later, I ended up taking a position as director at a large defense company in San Diego. It was a great job, and more money then I'd ever made before. After a year, I decided that I working for myself, writing and creating things from scratch, was what suited me best. I left the corporation to start a digital-media company of my own, SOFREP.com. Roughly a year later I had a best-selling book, and was running the largest Internet site devoted to Special Operations, with millions of followers. I had doubled my salary working for myself on my own terms. And I have since built an excellent relationship with my ex-wife, her family and my children. It wasn't an easy road, but life is not easy. My time in the military taught me that. What you make of the hand that was dealt to you is what counts. Jack Murphy is a former 75th Army ranger, and Special Forces (also known as Green Berets) soldier. He is currently a senior at Columbia University studying political science. While in school he has written two novels and a best-selling book, Benghazi: The Definitive Report. He's also my business partner and managing editor at my website. I asked him how the army prepared him for civilian life. "In Special Forces you learn and actually conduct unconventional warfare," he said. "This means that talking to people and finding creative solutions is just as important or more important than shooting your weapon. These irregular warfare skills are what really come in handy in business. There is a world out there for veterans who leave the military, but it takes some effort on the veteran's part." Michael Golembesky is a former USMC Special Ops veteran. Infil_Exfil is his first film, about post-traumatic stress disorder and includes real combat footage from his time in Afghanistan. His first book, Level Zero Heroes, is set to be released in the spring of 2014. In our conversation about transitioning out of the military, he agreed with Jack: "Guys with SOF [Special Operations Forces] experience are not cut from the same cloth as conventional service members. We are tailored to succeed at everything we do, regardless of obstacles, disadvantages or the mission set. They say once you go tactical, you never go back. This is true. SOF members maintain all of the lessons learned. They take all of this back to civilian life with them. I haven't changed; only my surroundings have." Eric Davis is a teammate of mine from SEAL Team 3, and we were also SEAL training classmates in underwater-demolition class 215. Two hundred and twenty originals started class 215, and 23 graduated seven months later. He's a 16-year veteran and got out of the military for the same reasons I did: family. He has just launched a life-coaching business called AverageFrog.com. Eric and I had a lengthy conversation about his experiences transitioning. I remember that he would routinely make fun of the military structure and organizational hierarchy, so it was funny to hear him reflect on this: "I remember how I used to say that if (the military) were a business we'd be out of business. I take that all back. I can’t believe how disorganized and haphazard businesses are. Man, we were squared away in the SEAL teams." When I asked him what the most important lesson he had taken away from his service was, he had this to say: "Purpose — know your purpose. Action — take action. Repeat." When I asked him what his biggest challenge was in becoming a civilian, he said, "Finding my way. There were just too many opinions, books, shows and how-to's out there. I couldn't figure out and/or decide which way to go. It's kind of like having 10 maps handed to you just before embarking on a dangerous journey." So while there are a lot of veterans who struggle, we were all given the tools to successfully make the transition to civilian life, as challenging as it may be. As the ancient Japanese proverb says, fall down seven times, get up eight.